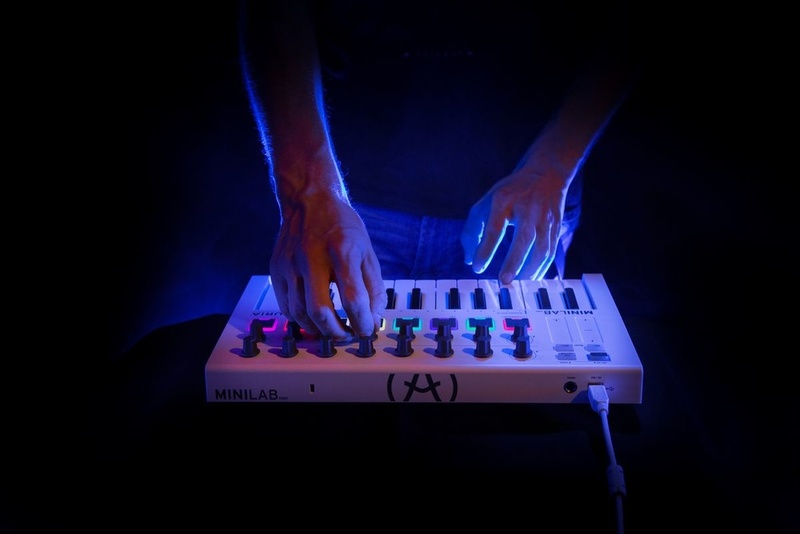 Arturia have released a space-saving controller that’s designed to fit into small home studios and work for musicians on the move: the MiniLab MkII. This latest bus-powered controller combines a two-octave, velocity-sensitive keyboard with slim keys, RGB backlit performance pads, 16 rotary knobs, two touch strips for pitch and mod control, and a suite of software including Analog Lab Lite and Ableton Live Lite. The MiniLab MkII’s multi-purpose pads can be used for playing and recording drum patterns, launching clips or cycle through presets. Two of the 16 rotary encoders are also clickable, allowing a deeper level of control. Also, thanks to pre-mapping of control in Ableton Live Lite, the MiniLab MkII will integrate immediately into your creative process. The included Analog Lab Lite software gives you access to hundreds of iconic preset keyboard sounds taken from Arturia’s award-winning V Collection 5 — from electric pianos to analogue monosynths, string machines to modular monsters, and everything in between. These sounds are complemented by the inclusion of UVI's Grand Piano Model D software, meticulously sampled from a classic Steinway. As you’d expect from such a package, there are tempting upgrade paths: whether you want thousands of extra keyboard presets with Analog Lab 2 or need the unparalleled control of Arturia’s flagship V Collection 5, owners of MiniLab MkII will be entitled to exclusive upgrade offers. 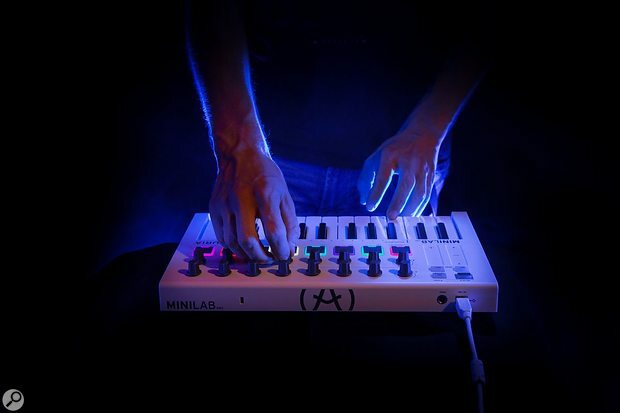 MiniLab MkII is priced at 99€ / $119.